The best mobile massage in Nashville is now available at your fingertips. Book same-day massage therapy service in your home, hotel, or office with the Zeel app. Rock on, Music City. A massage therapist will come to your Nashville home, hotel, or office in as little as an hour, or schedule in advance. Relax and recuperate with a spa-quality massage in the comfort of your Nashville home. There are over 9,000 massage therapists in the Zeel network nationwide. Here are a few that are available for in-home massages in Nashville. Licensed massage therapist Jason is passionate about bringing healing therapy to his clients, which is what brought him to massage in the first place. A U.S. Army veteran, Jason pursued a career in massage through Miller Motte College's esteemed massage therapy program. He offers multiple modalities for his clients, including deep tissue massage, reflexology massage, Swedish massage and trigger point therapy massage. Emily discovered her passion for massage while interning at a pediatrics rehabilitation clinic near the US Olympic Training Center in Colorado. 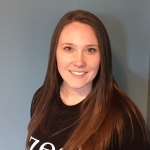 Emily graduated from massage school in 2014 and has since worked in luxury spas, gyms, and in tandem with healthcare professionals. She blends Eastern and Western techniques to deliver a unique and customized massage to each and every individual client. Ren, licensed massage therapist, excels at deep tissue and trigger point therapy. She is also certified in prenatal massage and well-versed in numerous other modalities including reflexology, aromatherapy, sports, Swedish, and geriatric massage. Ren delivers a customized massage to each individual client, based on their specific needs and preferences. Looking to unwind in the city where the party never stops? Nashville residents and visitors alike can now enjoy the #1 mobile massage in the country, thanks to Zeel Massage On Demand. Whether you’re a longtime Nashvillian, or just exploring Music City for a weekend getaway, Zeel brings the luxury of 5-star spas directly to your door. No need to navigate the OHB and trek all the way to a local spa. Zeel comes to you. Simply book online or through our iPhone or Android app, and a licensed and highly vetted professional massage therapist arrives at your home, hotel, Airbnb or office with as little as an hour’s notice. You pick the massage technique — Swedish, deep tissue, sports massage, prenatal, or our custom Sleep Massage — and you can even double down on the relaxation by turning any of them into a couples massage. Zeel Massages are available virtually anytime you want, 365 days a year, with start times as early as 8am and as late as 10:30pm (for when you need to recover after a long night of honky tonkin'). From The Gulch to Music Row, Downtown to Germantown, Bellevue to the 37206 — treat yourself to the best massage in Nashville, Tennessee with the touch of a button. 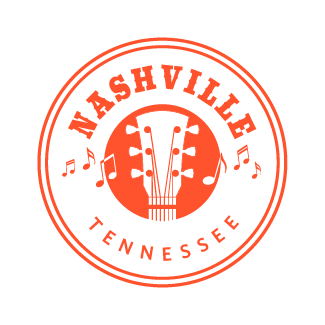 If you're just visiting Nashville and want to see where else Zeel is available, see our list of locations for "massage near me". 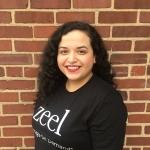 Zeel provides Swedish massage, deep tissue massage, prenatal massage, sports massage, couples massage, and chair massage in Nashville.